We’re not just in the crane business. We’re in the solutions business. Our job is elevating your projects with cranes custom-built to your needs, robust automation systems tailored to your operation, and expert service to keep it all running smoothly. We design, manufacture and install overhead cranes from light industrial to CMAA class “F” mill duty service, and every crane that comes out of our shop is 100% custom-built. 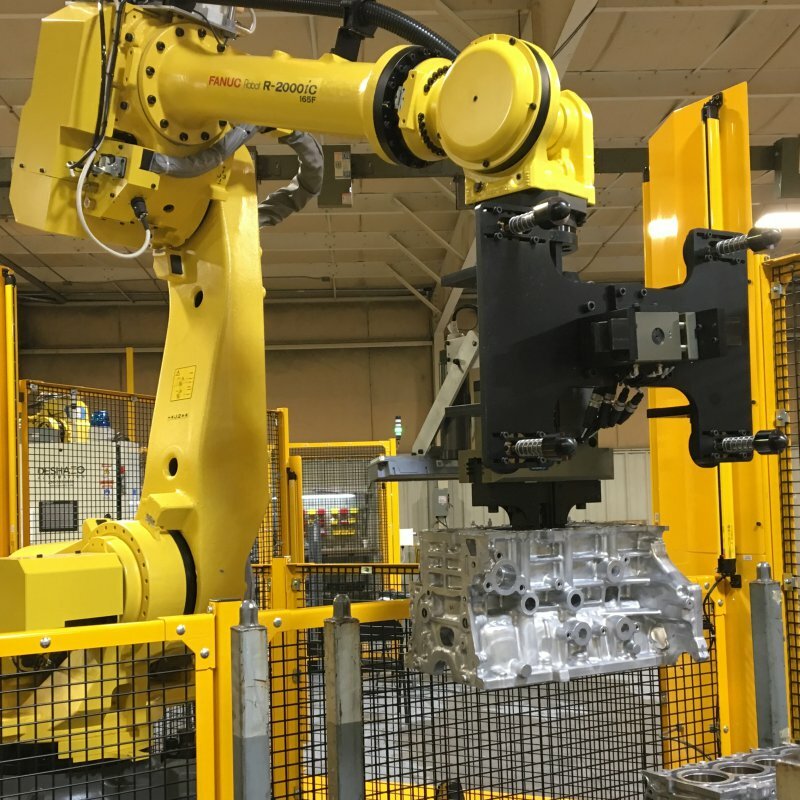 We engineer turnkey automated solutions using the latest robotic technology that can increase the quality, efficiency and productivity of your manufacturing process based on your individual needs. Our skilled technicians perform on-site inspections, repairs, modernizations and rebuilds on any overhead crane or hoisting equipment. We can also rebuild your crane parts and components at a fraction of the cost of new. Our state-of-the-art facilities come equipped with all the resources needed to craft high-quality machinery. Our overhead cranes are utilized in numerous industries and operations all around the globe. Our products are only as good as the people who assemble, repair, and maintain them, which is why we only hire the best workers. Ready to take your career to the next level? Working with DESHAZO could be the perfect fit.